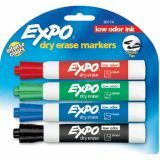 EXPO® Low Odor Dry Erase Markers use a specially formulated, alcohol-based ink with virtually no odor. 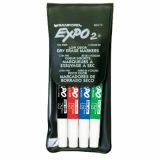 The markers feature vivid ink that is quick-drying and easy to see from a distance. 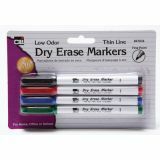 These dry erase markers write on whiteboards, glass and most non-porous surfaces. 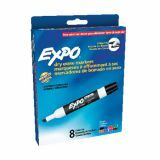 Expo marks vividly, with a consistent, smooth line that retains its color and erases easily with a dry cloth or Expo eraser. Precise “no squeak” tip. 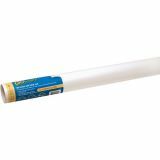 For use on porcelainized enamel boards, melamine, glass and most dry erase surfaces. AP Certified non-toxic. 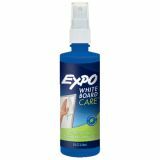 EXPO® White Board Care™ Liquid Cleaners are ideal for cleaning and refreshing whiteboards. 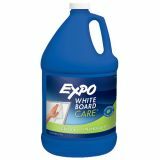 The liquid cleaner helps remove ghosting, stubborn marks, shadowing, grease and dirt from whiteboards and most non-porous surfaces. 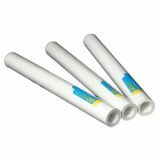 Low odor markers feature vivid colors and wipe away cleanly and easily. AP Certified non-toxic. Set of 4 includes Black, Red, Blue, and Green. 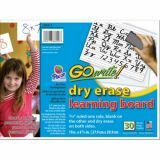 Dry erase on both sides of the board. One side is ruled for practicing penmanship or spelling, and the other side is not ruled allowing students to use it for playing classroom games and other classroom activities. Ruled side: .75" ruling, .38" dotted midline, 1/4" skip space. Red baseline. Wipe away and do it again! Erases cleanly. Available in a pack of 5 or a new class pack of 30. Recyclable. Make an old chalkboard or a worn out dry erase board new again! These rolls make it easy to do. 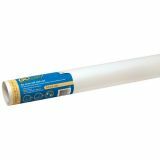 Each roll has a full adhesive back, making it easy and convenient to put up. The adhesive back sticks to most clean, smooth, hard, non-porous surfaces. 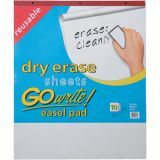 Won't leave residue behind and erases cleanly. Recyclable.